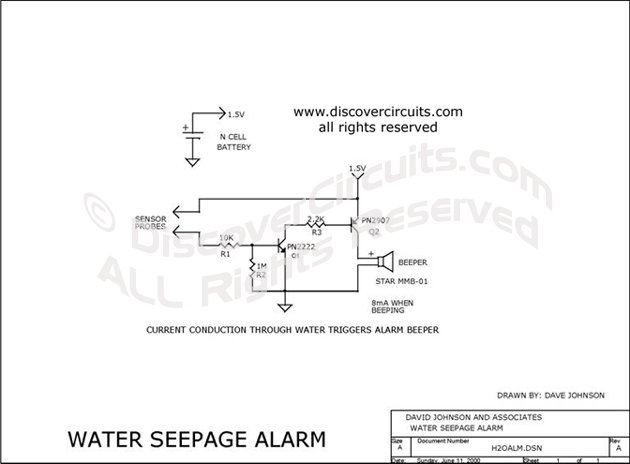 Circuit: WATER SEEPAGE ALARM__ Circuit designed by David A. Johnson, P.E. This simple circuit sounds a beeper when its electrodes detect water. It is powered by a single 1.5v N cell. A small 1.5v button battery will also work.